The first thing that needs to be considered when planning a wedding is how much time you will give yourself for the planning. In essence; this means what day that you will set the date of the wedding. This may sound like a trivial matter, but it really is important because it will let you know what the time limit is for making your preparations. 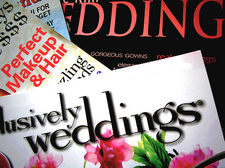 If you are not giving yourself more than a month, then wedding planning is naturally different. Because of the differences in the time that you are giving yourself to planning the wedding, it is best to give the best planning methods and you may use them or not use them as they apply to your case. One of the most important factors that go with planning a wedding is determining who you will be delegating specific duties to. For example, if you are terrible at choosing flowers, who will you assign to do it for you? Catering: Who do you believe would be the best person to handle all of the arrangements for the food and drink at your wedding? All of these things are usual must haves when it comes to a wedding, unless of course, you opt not to have bridesmaids or groomsmen in the wedding. All of these things can be murder to try to do on your own as well. That is why you have to get in touch with people who are capable of taking over some of the menial jobs for you. All of these things seem small at first, but they can quickly add up to quite a bit of money when they are all combined together. After you have delegated the responsibilities, you should next set a specific time period to have all of the tasks completed. Creating a wedding to-do list and time sheet is a great way to do this. That way, when all of the tasks are finished you can easily check them off. You should set up specific times and days to discuss the progress of things as well, just in case things are not going so well. In doing this you will be able to help make sure that all things are running smoothly. You might be wondering what happens when you have done all of this and are ready to get started. First of all, you have to be willing to follow the general wishes of the couple to be wed; that is unless you are the couple and are planning your own wedding. When planning a wedding on a budget you have to lower your requirements just a bit. For example, you can’t try to have to filet mignon if you are throwing the wedding on a fish stick budget. I have broken down the various aspects of the wedding planning to the last details so that you will get a better idea of what I mean. Ideally, you would want to have at least a year to plan the wedding, but that is not always possible or desired. For the purposes of this guide, I have set up a 12 month wedding timeline that will certainly make it a little bit easier to host your wedding. Select and call the bridesmaids and groomsmen. Make sure the ushers have the final guest list.